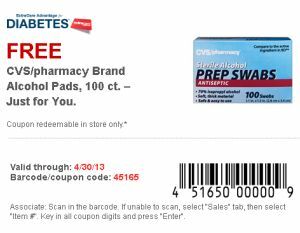 Free CVS/pharmacy Brand Alcohol Pads. This offer is valid through April 30th, 2013. Click the link below to go to the coupon. Print the coupon and take it to your nearest CVS to redeem.